Oscar Bravo Home: Vintage Finds at The Junk Bonanza! Vintage Finds at The Junk Bonanza! 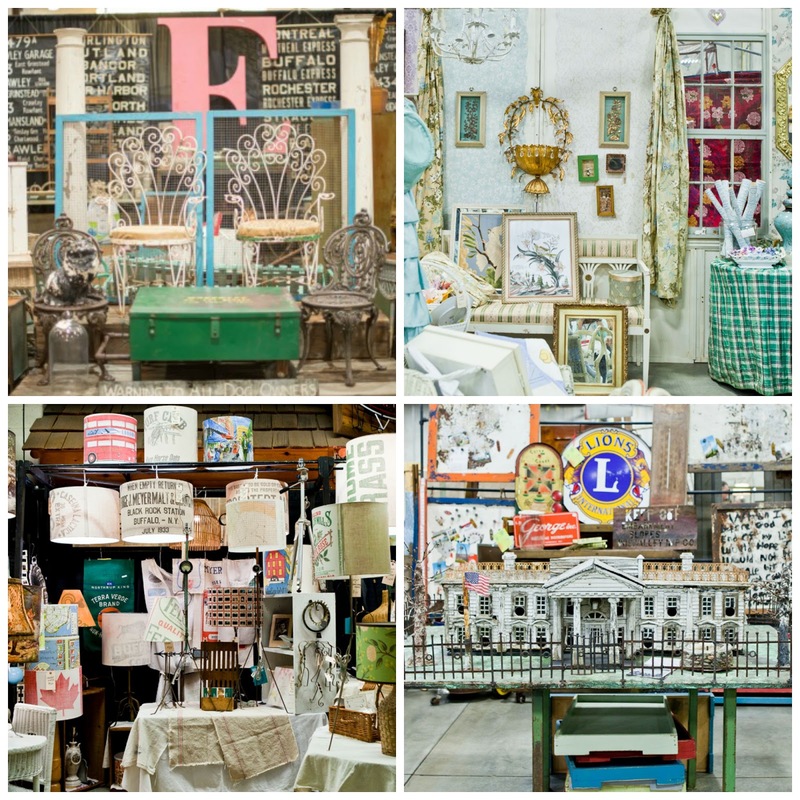 Sharing my excitement for the Junk Bonanza indoor flea market. I am so excited for FEBRUARY 19TH! I have been waiting for the Junk Bonanza to come back to San Diego. I missed last year's market but fortunately they are going to make their 2nd annual trip down here next month! You all should know by now that I am a lover of thrift stores and flea markets and this one looks like A GOOD ONE! So what makes the Junk Bonanza so special? First of all, it's indoors so that means rain or shine, it's going on! (but who am I kidding, it never rains in San Diego.) 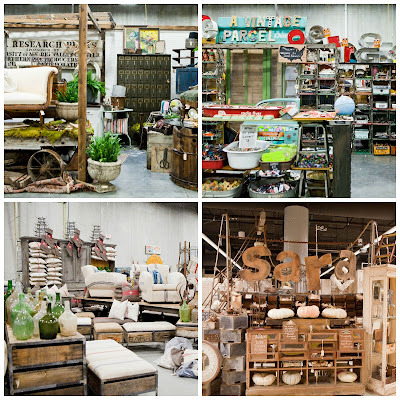 Having an indoor flea market makes for a comfortable shopping day, doesn't it? And you don't have to worry about those California UV rays causing any premature wrinkles. Let's keep the patina on the vintage items and away from our faces. While that isn't the most important reason for my excitement it's definitely an added bonus. Another reason why the Junk Bonanza is special is that the vendors want to show you the best of the best. These vendors carefully pick a curated collection of vintage treasures that predominantly 40+ years old to showcase in this market. There are also artisans that make items combining the new with rhe old to make one-of-a-kind pieces. That part really excites me! Another thing I am excited about is the potting bar hosted by Wendy McMonigle. 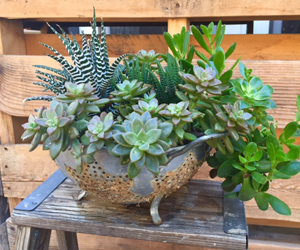 You can pick a vintage planter to purchase and make a nice arrangement with succulents. By the way, if you have never been to a flea market, the Junk Bonanza vintage market sounds like it would be good for a beginner flea-marketer (is that even a word?) because of the facts that I stated above. It just seems to have the right atmosphere for a good shopping experience. I recently shared some tips on how to shop a flea market and you can read my tips by clicking HERE! 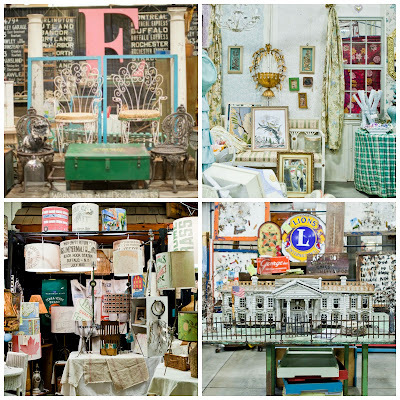 If your'e a vintage shopping newbie, this could help you feel prepared! The Junk Bonanza was founded by Ki Nassauer. Ki would hold monthly sales of vintage finds in Minnesota. Ki had this brilliant idea to have one GIANT VINTAGE MARKET BLOWOUT once a year instead, with its first market in 2006. 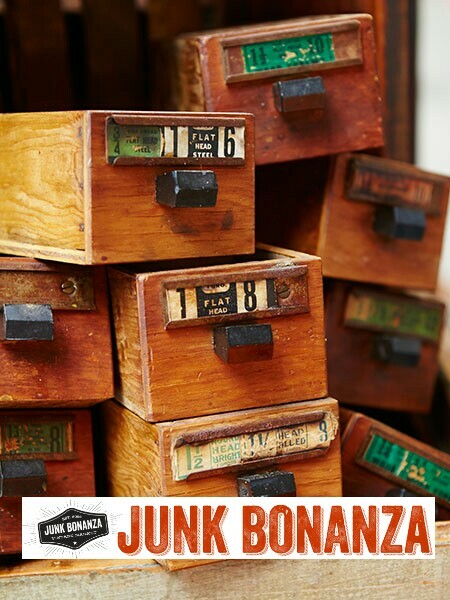 Now the Junk Bonanza has expanded their venue near Portland, Oregon and San Diego, CA! 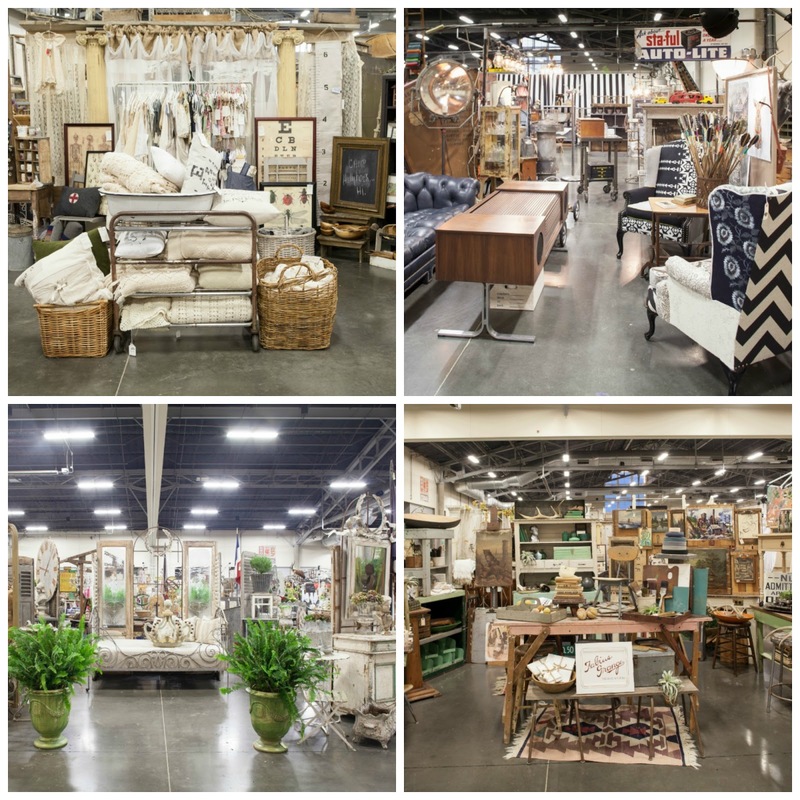 Collectors and designers look forward to this yearly venue; eager to get their hands on some unique and authentic vintage finds. There's also early bird admission for $25 online and $30 at the door. Gets you in 2 hours before general admission so you can have first dibs on all the goodies. For more info, visit HERE. Located 22 miles north of the San Diego International airport. OK, now for the details on how you can win 2 general admission passes of your own to attend the San Diego Junk Bonanza! All you have to do is comment in the comment box below and follow both myself and the Junk bonanza on Instagram! That easy! You have until Sunday, January 31 2016 to enter. One random lucky winner will be picked and announced Monday February 1st. U.S. residents only. You must be at least 13 years or older to enter. Good luck peeps! I hope to see you there! Great post! I am so excited to be part of this great show. This is an outstanding venue, with great and thoughtful staff, and a fantastic chef. The location of event venues is well situated. We has been delighted to host our annual event at this location for the past few years, and the space has been perfect for our group of roughly 300. Is Your Home Decor Style Eclectic?